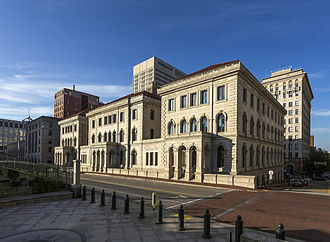 Located in Richmond, VA, the Fourth Circuit Court of Appeals hears federal cases that arise from the federal district courts of Maryland, the Eastern District of North Carolina, the Middle District of North Carolina, the Western District of North Carolina, the District of South Carolina, the Eastern District of Virginia, the Western District of Virginia, the Northern District of West Virginia and the Southern District of West Virginia. 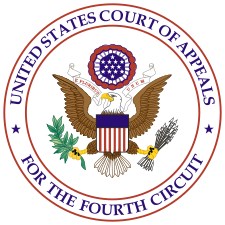 The Fourth Circuit has strict standards for the printing and filing of appellate briefs, and these standards differ from those of the other federal circuits. The starting point for a filling is, as always, the federal rules of Appellate Procedure. From there, the rules are modified by the local rules of the Fourth Circuit. One copy of each brief must be submitted along with one service copies to each party. The Fourth Circuit requires the parties work together to produce a joint appendix. Except under the most extraordinary circumstances, supplementary appendices will not be accepted. If the appellant omits from the appendix the portions designated by the appellee, the appellant will be required to file a corrected appendix incorporating such material, and to bear the cost regardless of the outcome of the appeal. Double side production of appendices is preferred. Condensed transcripts are not allowed. A certificate of service should be bound in the appendix as the final document.